"Got the Rockin' Pneumonia or the "Boogie Woogie Flu? The OnCall clinic has a doctor for you!" goes they radio jingle. 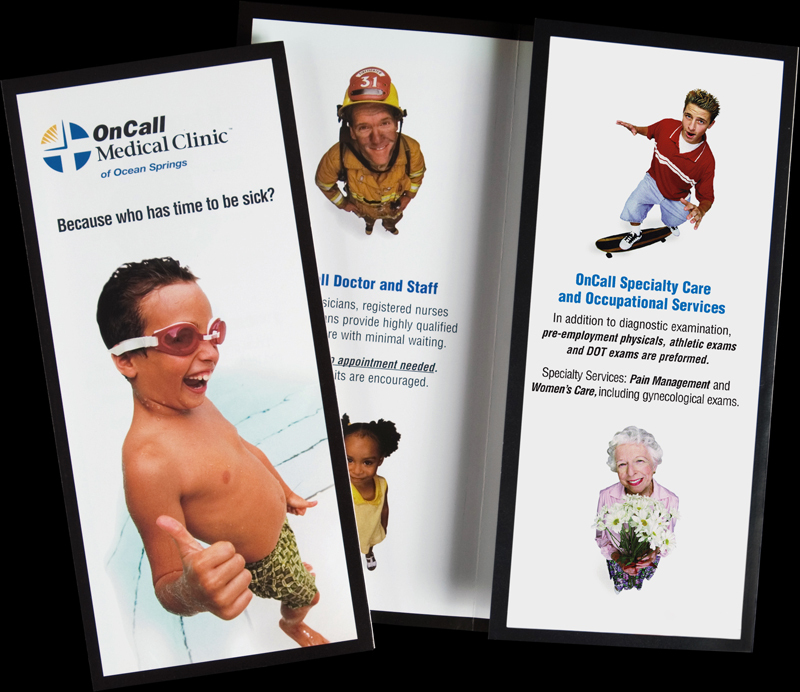 Imaginary Company provided the name and lighthearted branding for the 24-hour clinic in Ocean Springs. Because after all, who has time to be sick?